Since the property market has not taken a decisive turn for the worse, even though underlying economic growth has slowed, the industry’s calls – louder by the day – to roll back some cooling measures may not be the right thing to do just yet. • Potentially fuel speculation that more easing is on the way. • Threaten to undo any price moderation the market has achieved - a 8.4% correction (Q3 2013 to Q4 2015) versus over 60% price gains achieved between 2009 to 2013. • bring back potential buyers who have been bottom fishing. As economic growth slows, increasing the nation’s debt level run the risk of households facing difficulties in servicing debt especially when interest rates rise. DTZ reported that 87 properties were put up for mortgagee sales last year, an 85 per cent surge from 47 units in 2014. In 2012, only nine units were listed for mortgagee sales as a result of owners’ inability to finance their loans. Such listings are on the rise, but are they widespread enough to signal a downward spiral of the property market? Renewing its calls for the Government to roll back the measures, the Real Estate Developers’ Association of Singapore said last month that developers face pressure from measures such as the Additional Buyer’s Stamp Duty (ABSD) and Qualifying Certificate, which impose hefty charges on developers with unsold units. The concerns of an over-correction are valid. Getting the property market right is especially important now, so as to not add stress to an already slow economy. However, more signs are pointing to the need to retain these measures. “Has the market reached the stage of stability? Perhaps there is still some way to go before the trigger level could be hit. The stock level and vacancy rate, though, have risen recently; the price adjustment has not fully reflected the oversupply situation,” said Sing Tien Foo from NUS Department of Real Estate. Besides stabilising the property market for economic purposes, it’s also the Government’s intention to ensure affordability of homes. Maintaining affordability for those who have not bought a home and preserving the wealth of those who own one is the government’s challenge. “it is not easy to determine what is the optimal time to remove the measures because policymakers need to gauge with confidence what is the reasonable price level given the dynamic nature of the market,” Sing said. Last month, Minister for National Development Lawrence Wong reiterated the Government’s stance that it is “too early” to relax the measures, as doing so could result in a market rebound. Responding to increasing calls for the cooling measures to be tweaked, the Government has maintained that it is not time yet to roll back the measures. But It also hinted that it has a “rough idea” of when to do so. Urban Redevelopment Authority (URA) Revised Criteria for Issuing Housing Developer’s Sale Licence for private residential properties – effective 1 Apr 2016. At present, a minimum paid-up capital or deposit of S$1 million is imposed on a housing developer to qualify for the issue of a sale licence. The revised rule will impose a paid up capital ranging from $1 million to $4 million, depending on the size of the housing project. The sizes of completed projects in a developer's track record will determine how large a project it can now build. Illustration: if the completed housing project cited in its track record has fewer than 10 units, a developer can obtain a sale licence to develop only a new project of fewer than 50 units. Non-residential projects will not be admitted as a track record for a sale licence, given the differences in developing residential and non-residential projects. For housing developers applying for a sale licence based on the track record of their companies, at least one of the directors who had completed a licensed project cited in the track record must remain on board as a director of the company. The new rule will make it harder for aspiring developers with limited track records to build and sell private homes and put smaller players under financing constraint. Qualifying Certificate (QC) is a rule imposed on foreign developers - including Singapore developers listed here but with foreign shareholders. Under the QC rule, foreign developers of private residential projects will need to pay extension charges pro-rated to the proportion of unsold units, if the projects are not fully sold two years after obtaining the Temporary Occupation Permit (TOP). Developers paid the Government $24.9 million in extension fees last year for failing to sell all units at their residential projects within the stipulated time frame. $22 million - d'Leedon and The Interlace – Developer: Hotel Properties and CapitaLand. The Credit Suisse's report was based on last available data of unsold units as at 31 Dec or earlier; It does not include recent transactions concluded this year. The Credit Suisse report also pointed to Michaels' Residences and Robin Residences as being affected by ABSD remission claw-back this year. Since it is unlikely that the number of unsold units remain static, ABSD fees will move down as developers continue to move sales. Developers are optimistic about beating the looming ABSD deadlines without having to resort to massive price cuts. However they remain tight lipped on their marketing strategies. CapitaLand is all set to test the luxury residential property market with its Cairnhill project launch. The integrated project on the former Somerset Grand Cairnhill site, opposite Paragon along Orchard Road, will comprise a 268-unit residential tower “Cairnhill Nine”, and a 220-unit serviced residence Ascott Orchard Singapore. Both will be completed in end-2016. Units at the 99-year leasehold project are priced attractively at an average of $2,500 psf which would fetch closer to $3,000 psf under better market conditions, said CapitaLand Singapore chief executive Wen Khai Meng, although he declined to say if Cairnhill Nine was among several projects for which CapitaLand made a $110.1 million impairment last year. About 89% of the units are one- to two-bedroom units, sized from 592 to 1,324 sq ft. Starting prices are from $1.35 million for a one bedder to $3.68 million for a four bedder. "As a real estate developer, you have to ride through the cycles. Whether it's good or bad times, life has to go on…We do our best to adjust to the demands of the market at each point, whether in terms of pricing or unit sizes," added the chief executive. When the project was designed, market demand had already shifted in favour of smaller units - as opposed to when the company was building The Orchard Residences, Urban Resort Condominium and Urban Suites in the area, said Mr Wen. In redeveloping the site, which is zoned residential and commercial, CapitaLand did not opt for a pure serviced apartment play as it could be too large for the market. As it stands, though, owners of apartment units will be able to enjoy some of the services at Ascott, such as the concierge service, or even request for housekeeping. Investors and locals who like the buzz of the area may find the project appealing. A VIP preview will be held this weekend while a public launch should come next month. Other CapitaLand's projects coming up for launch in the first half of this year are The Nassim and Victoria Park Villas. Leveraging on the buying momentum in recent launches, developers have succeeded in offloading a bunch of unsold units by trimming prices. The Panorama moved 60 units of the 80 units released between Oct and November last year. The recent discount rate relative to launched prices is about 6% to 7%. The Panorama by Wheelock Properties is a 99 yr leasehold project in Ang Mo Kio Ave 2. It sells close to 30 units a month on average. The average sales price for the Panorama is about $1,229 psf. Sky Vue in Bishan by CapitaLand sold 80 units of 182 units released last November. CapitaLand has dangled carrots of up to $150,000 discount for the rest of the units at Sky Vue across all unit types. The recent discount rate at Sky Vue is approximately 6%. ‘The Sky Collection’, Sky Vue’s premium units from 28th floor up is lauded as homes with a panoramic view. Sky Vue is a 99 yr leasehold project along Bishan St. 15. Prices start from $821,000, $1.1 million and $1.6 million for a 1 / 2 and 3 bedroom respectively. The number of unsold units is down to about 100. The 694 unit Sky Vue development was first launched in September 2013. It sold 433 units during its first month at a median price of $1,401 psf. According to The Edge, top sellers among existing launches were Sims Urban Oasis on Sims Drive and Lakeville in the Jurong Lake District, which recorded 94 and 38 caveats respectively in 4Q 2015. Launched in April 2014, Lakeville is close to Lakeside MRT station, Jurong Lake and the Canadian International School. The 38 caveats lodged averaged $1,260 psf. At Sims Urban Oasis, a city-fringe project close to Aljunied MRT station, the 94 caveats averaged $1,337 psf. 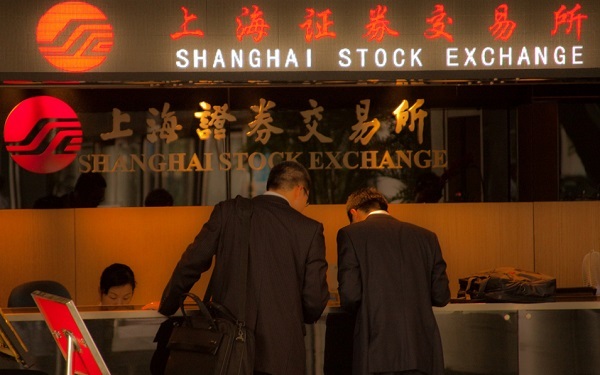 Trading was suspended on Chinese markets after stocks tumbled 7% in the first trading of the year. The Chinese are using this tool, designed to limit the fluctuations of securities, for the first time. The fall from Asia led to a slump in European stocks as well. The blue-chip CSI300 index ended down 7 percent by the time the trading was halted, the Shanghai Composite Index lost 6.9 percent and the technology-driven Shenzhen Composite fell by more than 8 percent. The market plunge comes after an official manufacturing survey, focusing on larger, state-owned Chinese companies, showed a fifth month of contraction, and a similar private survey focusing on smaller firms, indicated a 10th consecutive month of shrinking manufacturing. Another factor is the imminent removal of a ban on major shareholders from selling stakes, which was put in place during the summer stock crash and is expected to be lifted Friday. The ban was put in place in July as Chinese stocks were falling fast. They have since rebounded 20%. "The slump apparently triggered intensified selling, while the triggering of the circuit breaker seems to have heightened panic, as liquidity was suddenly gone and this is something no one has experienced before. It was a stampede." said Gu Yongtao, a strategist at Cinda Securities. The Chinese tumble and the accelerated depreciation of the yuan drove markets elsewhere in Asia into the red. Japan’s Nikkei Stock Average fell 3.1%, Hong Kong’s Hang Seng Index fell 2.7% and South Korea’s Kospi lost 2.2%. European markets slumped Monday, with the pan-European STOXX 600 down over 2.4% and Germany’s down over 4%. London’s FTSE 100 performed better, losing 2.4% while France’s CAC 40 was down over 2.6%. Indonesia has revised its tax system on luxury properties according to a new ministerial decree. Luxury tax for properties in Indonesia is now ‘Value based’ rather than the old practice of ‘Size based’. New rule – A 20 billion rupiah residential property is subjected to 20% luxury tax. Previous rule – Apartment and houses above 350 square metres (3,770 sq ft) is subject to 20% luxury tax. The luxury tax is applicable to apartments priced at 10 billion rupiah or more, as opposed to the earlier threshold of 150 square metres minimum size. The plan to change the threshold for luxury tax on properties were discussed and reviewed for months prior to its introduction last week. Bambang Brodjonegoro, Indonesia’s Finance Minister had repeatedly said the old rule was unfair because it left small but expensive apartments in the middle of Jakarta untaxed.